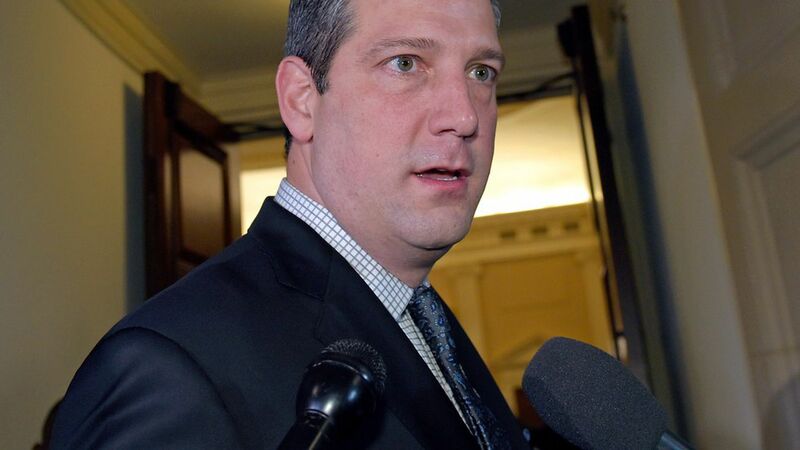 Rep. Tim Ryan of Ohio is the kind of Democrat President Trump might have been able to get on his side. He's a centrist, and he's from a district that has been hit hard by the opioid crisis. But in an interview with Axios, he said he's not impressed by Trump's "public health emergency" declaration — he thinks Trump is underestimating the amount of help that the most devastated communities need. Why it matters: Ryan has introduced various bills to address substance abuse and has been fighting the opioid epidemic for the last five years. His county in Ohio experienced record-high incidents of opioid overdoses in September, and he urged Trump back in April to declare a national emergency. What the declaration means: "It's very underwhelming in the sense that all it does is free up $57,000 more to try to address this problem," Rep. Ryan said. "$57,000 could barely help Trumbull County, one of the 88 counties in Ohio, let alone the entire country. I don't think he understands the level of destruction that's happening in these communities." The Trump effect: "It's kind of typical of Trump's approach to governing where there's a lot of ceremony and smoke and mirrors, and when the dust settles there's not a whole lot that has been done." Ryan also said that the administration hasn't engaged him in discussions about solutions for the opioid crisis, even though he's a co-chair of the Addiction Treatment and Recovery Caucus and a member of the Bipartisan Heroin Drug Task Force. "Some of us were hopeful because he used this during his campaign a lot so we thought he'd be aggressive, but he hasn't been," Ryan said. "It took them six months to even do this [declaration]." Go deeper: Inside Trump's "public health emergency" declaration and what he said during his speech.